Tel Aviv University (TAU) researchers have developed a new blood test for genetic disorders that may allow parents to learn about the health of their baby as early as 11 weeks into pregnancy. The simple blood test lets doctors diagnose genetic disorders in fetuses early in pregnancy by sequencing small amounts of DNA in the mother's and the father's blood. A computer algorithm harnessing the results of the sequencing would then produce a "map" of the fetal genome, predicting mutations with 99% or better accuracy depending on the mutation type. Professor Noam Shomron of TAU's Sackler School of Medicine led the research, which was conducted by TAU graduate student Tom Rabinowitz with Avital Polsky, Artem Danilevsky, Guy Shapira, and Chen Raff, all from Professor Shomron's lab. The study is a collaboration with Dr. David Golan of the Technion-Israel Institute of Technology and Professor Lina Basel-Salmon and Dr. Reut Tomashov-Matar of Rabin Medical Center. It was published online on February 20, 2019 in Genome Research. 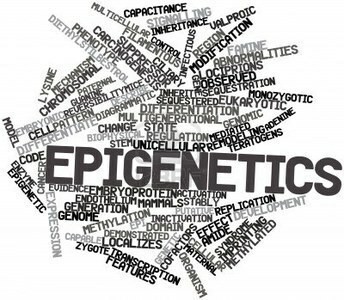 The open-access article is titled “Bayesian-Based Noninvasive Prenatal Diagnosis of Single-Gene Disorders.” "Noninvasive prenatal tests are already available for chromosome disorders such as Down syndrome," Professor Shomron says. "Our new procedure is based on fetal DNA fragments that circulate freely in maternal blood and bears only a minimal risk for the mother and fetus compared with such invasive techniques as the amniotic fluid test. We will now be able to identify numerous mutations and diseases in a safe and simple procedure available at the doctor's office. "The genetic mechanism behind Down syndrome affects a very large portion of the genome and therefore is easier to detect," Professor Shomron explains. Skin cells taken from patients with a rare genetic disorder are up to ten times more sensitive to damage from ultraviolet A (UVA) radiation in laboratory tests, than those from a healthy population, according to new research from the University of Bath in the UK. It is hoped that the work, which has involved designing a brand new molecule with potential to be added to sun cream, could benefit those with Friedrich's ataxia (FA, also abbreviated (FDRA), as well as those with other disorders characterized by mitochondrial iron overload, notably Wolfram syndrome and Parkinson's disease, where UVA rays from the sun may pose particular challenges. Although most sun creams are effective against UVB rays, generally they only protect against UVA rays through the reflective properties of the cream alone. When cells are exposed to UVA rays, the damage caused to cells can be worsened by excess free iron in mitochondria which fuels the generation of 'free radicals,’ including reactive oxygen species (ROS), which can damage DNA, protein, and fats - increasing the risk of cell death and cancer. Patients with FA have high levels of free iron in their mitochondria. This new research, led by scientists at the University of Bath, King's College London and Brunel University London shows that this excess free iron makes skin cells from these patients up to 10 times more susceptible to UVA damage. 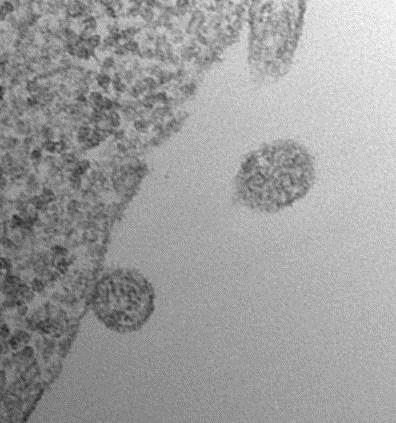 The scientists have custom-built a molecule which acts like a claw to scoop up excess iron particles within mitochondria, preventing these miolecules from amplifying UVA-induced damage. The researchers' goal is to see this iron-scooping molecule added to sun creams to enhance their protective effect against UVA rays. Geneticists have discovered a molecular trigger for a severe autism-related disorder that has enabled them to start testing a potential therapy targeting a specific protein in the brain. A UT (University of Texas) Southwestern study involving humans and mice details one of the few instances in which researchers have found a precise pathway that causes a neurodevelopmental disorder – in this case a rare condition called Kaufman oculocerebrofacial syndrome (KOS). The research gives scientists a better understanding of potential treatments for KOS, which is characterized by intellectual disability and lack of speech. It also demonstrates the benefits of using modern genetic sequencing to dissect the vast and complicated network of mutations that underlie autism spectrum disorder. 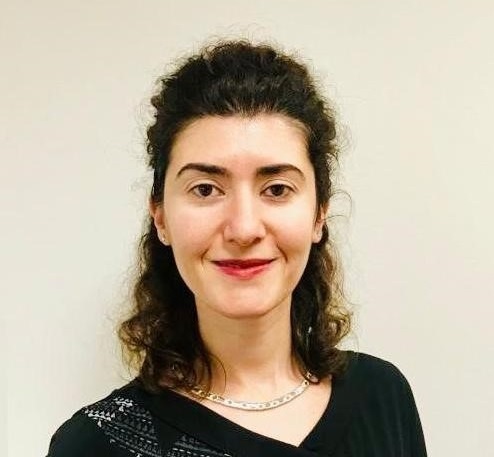 “Researchers have already identified broad molecular pathways for different forms of autism spectrum disorder,” said Dr. Maria Chahrour (photo), a neurogeneticist who led the study published published online on February 11, 2019 in PNAS. “What we are working on now is defining specific pathways like this one that are actionable and can be targeted for therapies.” The PNAS article is titled “The Ubiquitin Ligase UBE3B, Disrupted in Intellectual Disability and Absent Speech, Regulates Metabolic Pathways by Targeting BCKDK.” Scientists have known that the absence of the UBE3B gene leads to KOS but were not aware of what happened inside the brain that caused the symptoms. The new PNAS study found that KOS may occur when a protein known as BCKDK accumulates in the brain in the absence of UBE3B, which would normally regulate the BCKDK protein. Mutations in the BCKDK gene can also lead to autism spectrum disorder. Dr.
Rare Disease Day at NIH (https://ncats.nih.gov/rdd), will be held this year on February 28, 2019, from 8:30 am to 4:00 pm in the Main Auditorium of the Natcher Conference Center, Bldg. #45, on the main NIH campus in Bethesda, Maryland. The center will open at 7:30 am for registration and poster/booth setup. The event is free, but pre-meeting registration is requested (https://events-support.com/events/Rare_Disease_Day/page/1960). The event is open to the public, including patients, patient advocates, health care providers, industry representatives, and government employees. In association with Global Genes®, participants are encouraged to wear their favorite pair of jeans. The aims of Rare Disease Day at NIH 2019 are to raise awareness about rare diseases, about the people they affect and NIH research collaborations under way to address scientific challenges, and to advance new treatments. The goals are to: demonstrate the NIH commitment to helping people with rare diseases through research; highlight NIH-supported rare diseases research and the development of diagnostics and treatments; initiate a mutually beneficial dialogue among public and private researchers, patients, patient advocates, and policymakers; exchange the latest rare diseases information with stakeholders to advance research and therapeutic efforts; and to put a face on rare diseases by sharing stories of patients, their families, and their communities. A growing collection of anecdotal stories raises the possibility that nerve injury in an arm or a leg can act as a trigger for the development amyotrophic lateral sclerosis, or ALS--a progressive neurodegenerative disease also known as Lou Gehrig's disease, named after the famous New York Yankee who died of it in 1941. The connection between ALS and athletes runs deeper than a single ballplayer; people who engage in intense physical activities, such as professional athletes and people in the military, are more likely to be affected by ALS. In some, the disease seems to start after an injury -- muscle weakness at the site of the injury slowly spreads to new areas until weakness in the muscles responsible for breathing causes suffocation. Now, researchers at the University of Illinois at Chicago (UIC) are the first to demonstrate that a peripheral nerve injury can trigger the onset and spread of the disease in an animal model of ALS. Their findings, published in the April 2019 issue of Neurobiology of Disease, show that rats genetically engineered to develop ALS-like symptoms have an abnormal inflammatory response in the region of the spinal cord associated with an injured peripheral neuron. As the spinal cord inflammation and other damaging processes spread, they cause progressive muscle weakness throughout the body. The article is titled “Mutant SOD1 Prevents Normal Functional Recovery Through Enhanced Glial Activation and Loss of Motor Neuron Innervation After Peripheral Nerve Injury.” "We know that in some patients with ALS the weakness starts in a hand or leg, and the disease spreads. Coincidentally, the patient will describe a recent or remote injury to that same hand or leg that matches the location of their disease onset. A group of scientists led by Ramkumar Menon, PhD, at The University of Texas Medical Branch at Galveston (UTMB) have gained new insight on a poorly-understood, but possibly key player in the timing of labor and delivery. This new information may bring scientists closer to being able to prevent preterm births. This study was published online on January 24, 2019 in Scientific Reports. The open-access article is titled “Exosomes Cause Preterm Birth in Mice: Evidence for Paracrine Signaling in Pregnancy.” According to the World Health Organization, an estimated 15 million infants are born too early each year. Complications from preterm birth are the leading cause of death among children under five years old, responsible for about one million deaths each year globally. In the U.S., approximately 1 of every 10 infants was born prematurely in 2017. When a woman is at the end of her pregnancy, the normal childbirth process begins when the fetus releases chemicals signaling that his/her organs have matured enough for delivery. This chemical release shifts the mother’s hormone levels, which increases inflammation in the uterus and begins labor and delivery. “There’s another component of the biological clock that contributes to the timing of birth – a type of cell-to-cell communication between the maternal and fetal cells called paracrine signaling,” said senior author Dr. Menon, UTMB Associate Professor in the Department of Obstetrics and Gynecology. “Because little is known about what this type of signaling does during pregnancy, we investigated the role of paracrine signals called (editor’s note: carried by) exosomes in the timing of labor and delivery.” The researchers collected blood plasma samples from pregnant mice and isolated the exosomes. The great white shark is one of the most recognized marine creatures on Earth, generating widespread public fascination and media attention, and spawning one of the most successful movies in Hollywood history (“Jaws”). This shark possesses notable characteristics, including its massive size (up to 20 feet and 7,000 pounds) and diving to nearly 4,000-foot depths. Great whites are also a significant conservation concern given their relatively low numbers in the world's oceans. In a major scientific step to understand the biology of this iconic apex predator and sharks in general, the entire genome of the great white shark has now been decoded in detail. A team led by scientists from (NSU) Nova Southeastern University's Save Our Seas Foundation Shark Research Center (Miami, Florida) and Guy Harvey Research Institute (GHRI) (Miami, Florida), Cornell University College of Veterinary Medicine (Ithaca, New York), and Monterey Bay Aquarium (Monterey, California), completed the white shark genome and compared it to genomes from a variety of other vertebrates, including the giant whale shark and humans. 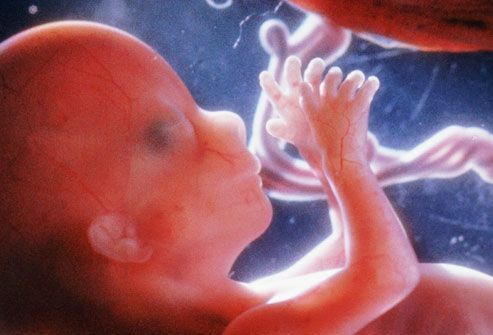 The findings were reported online on February 19, 2019 in PNAS. The PNAS article is titled “White Shark Genome Reveals Ancient Elasmobranch Adaptations Associated with Wound Healing and the Maintenance of Genome Stability.” Decoding the white shark's genome revealed not only its huge size - one-and-a-half times the size of the human genome - but also an abundance of genetic changes that could be behind the evolutionary success of large-bodied and long-lived sharks. The disease systemic lupus erythematosus (SLE) -- marked by the attack on joints, skin, and kidneys by the body's immune system – has been linked, in a new study, to an abnormal mix of bacteria in the gut. This is according to a new study led by scientists at NYU Langone Health/NYU School of Medicine. While bacterial imbalances have been tied to many immune-related diseases, including inflammatory bowel disease, arthritis, and some cancers, the authors of the current study say their experiments are the first detailed evidence of a link between bacterial imbalances in the gut and potentially life-threatening forms of SLE. The new study, published online on February 19, 2019 in the Annals of Rheumatic Diseases, showed that 61 women diagnosed with SLE had roughly five times more gut bacteria known as Ruminococcus gnavus, than 17 women of similar ages and racial backgrounds who did not have the disease and were healthy. Lupus is more common in women than in men. 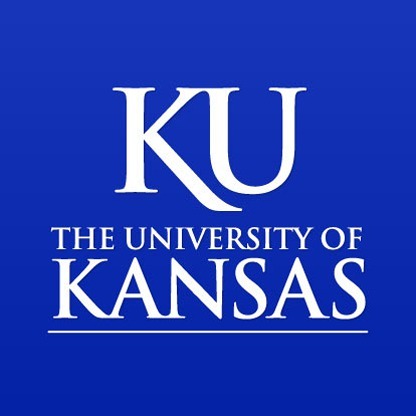 Moreover, study results showed that disease "flares," which can range from instances of skin rash and joint pain to severe kidney dysfunction requiring dialysis, closely tracked to major increases in R. gnavus bacterial growth in the gut, alongside the presence in blood samples of immune proteins called antibodies, specifically shaped to attach to the bacteria. Study participants with kidney flares had especially high levels of antibodies to R. gnavus. The open-access article is titled “Lupus Nephritis Is Linked to Disease-Activity Associated Expansions and Immunity to a Gut Commensal.” The authors say the specific causes of lupus, which affects as many as 1.5 million Americans, are unknown, although many suspect that genetic factors are partly responsible.